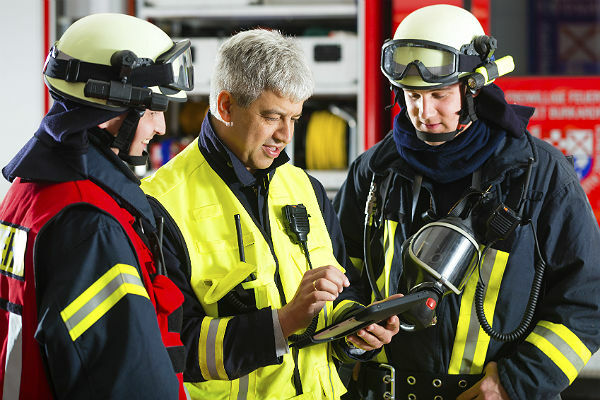 MultiBrief: What is the most important resource in your fire department? There are several subdivisions in every fire department. For the most part, these are support services or logistics, fire prevention, public education, emergency response, training, communications, EMS, and emergency management. This can vary in every fire department. In general, the administrator is the fire chief and his/her two deputy chiefs are titled "operations" and "administration," or some facsimile thereof. The questionnaire involved your duties and responsibilities on a day-to-day basis — addressing daily routines, operations at the emergency scenes, subordinate counseling, knowledge, skills and abilities needed to perform your primary job function, etc. To my surprise while completing the questionnaire booklet, somewhere between 70-80 percent of what I answered revolved around "training." The answers came about from question types that involved hands-on training with gear, equipment and apparatus, EMS protocols, pharmacology, incident command, dealing with the public and emergency scenes, and personnel issues. What it basically boiled down to was that training was the place to get most, if not all, information required to perform every individual’s job function. They were the "go-to" resource for anything that involved practice (use of the actual facility), to EMS (paramedic instructor), new techniques (forcible entry, ventilation, etc. ), new equipment and tools familiarization, leadership training, etc. Pretty much, you name it, it always came back to "training." Every firefighter must constantly be vigilant, maintain physical fitness, and adapt a lifestyle of constant training and education, both on- and off-duty. A firefighter is pretty much in a constant state of studying, taking exams, practicing and drilling with gear and equipment, and maintaining their physical well-being to perform for their high-action, highly physical job. Besides that, even though you must be a team player, it is a highly competitive atmosphere, especially around those times when personnel are preparing for promotional exams. Many candidates from my former department would get expert tutoring off-duty at their expense, for assessment center exams. This dealt with time management, oratory skills, writing skills, etc. These assessment center exams were basically broken down into three areas, a "tactical or live fire" scenario, a "subordinate role play" scenario, and a "public or station presentation" scenario. If you were not seeking tutoring, then you were not in the mix of your competition. Spending the extra money was well worth it because with a promotion, not only was it better pay, but more money over your lifetime in your pension! Several times during the year, "performance" drills were given to evaluate the proficiency of emergency response personnel. Once again, these were evaluated and performed at the Training Center. Whenever a major incident occurred, the Training Center was asked to give their expert opinion on how to do things better and give praise. The Training Division was the "go-to" resource for practically everything. One thing I learned over my career in the fire service is that you will get a more profound understanding for your job by being an instructor at your training facility. You will also be surrounded with knowledgeable, motivated people, which adds to one’s character and ability to interact with professionalism. This is especially impressionable when recruit classes had been hired and start their training. At the time when I was completing the questionnaire, I was not assigned to the Training Division. It did not occur until after I was a lieutenant in the Emergency Response Division for four years. Therefore, my answers were not slanted or favored towards "training." It was through honesty and common sense that my responses ended up being that way as mentioned above in the fourth paragraph. I had grown and matured as an individual while assigned to training in my final years with my department. I did not have the opportunity to return to the "floor" (Emergency Response Division) prior to my retirement. If I would have, there is no doubt that I would have changed in many ways as an officer, for the better, after gaining the knowledge I received while at the Training Center. A level of professionalism gets instilled in you. Plus, floor personnel will seek your help. The Training Division is always "in the know" about the "latest and greatest." It is a tremendous asset and resource for any department!